building between artisanal diggers and the jewelry trade. register their application for the trip via This Link. to buy is required so that we can ensure compliance with all government regulations. All participants will require a Visa, Yellow Fever vaccination and malaria medication. The Rapaport Team can assist with obtaining visas and meeting other requirements. Tuesday 06:30 Depart to Kono; Visit artisanal digger sites and Koidu city. Wednesday 08:00 Depart for Visit to Koryardu Village, meet with community. Optional hike to location where Peace Diamond was discovered. Note: This hike can be strenuous and is about 1 hour each way. Opportunity for participants to experience what diggers do everyday. Thursday 09:00 Development Diamond Conference with Members of the Artisanal Community. 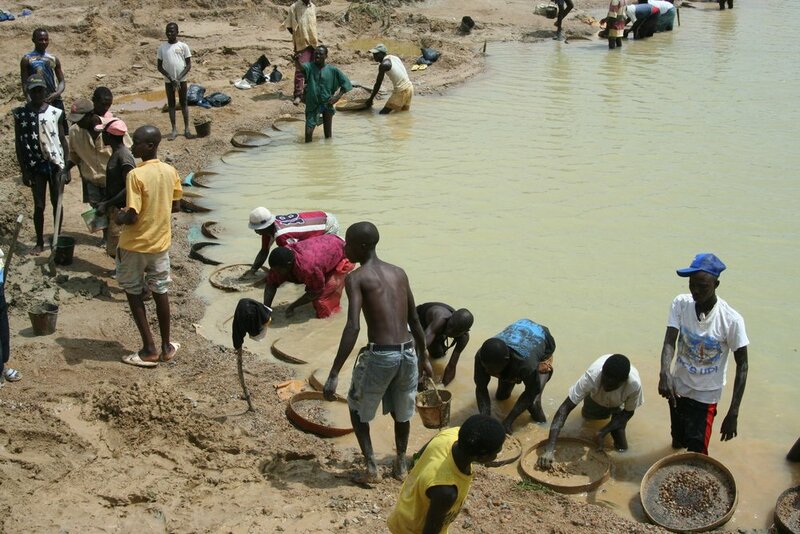 Discussion about the role of the diamond and jewelry in Sierra Leone.